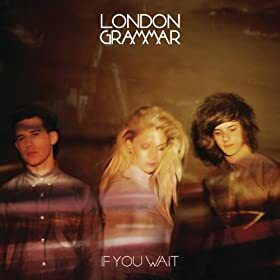 Oh I am in LOVE, LOVE, LOVE with the indie UK trio, London Grammar!! Lead vocalist Hannah Reid has a voice that will totally remind you of Florence Welch and every single track I’ve heard is amazing. Their new album If You Wait is available today!! Lucky for some of you, they’re kicking off a US Tour at the end of September with stops in major cities like Los Angeles, New York City, Chicago and Philadelphia. Check out their official website and full tour schedule here. What do you think of their sound? I’d love to hear your thoughts. And be sure to check out their haunting cover of Chris Isaak’s Wicked Game on SoundCloud.